As 2017 draws to a close, we’d like to provide you with two important updates about the Maintenance of Certification (MOC) program. Twenty (20) points must be in Medical Knowledge. The balance can be earned by completing any type of approved MOC activities they choose. 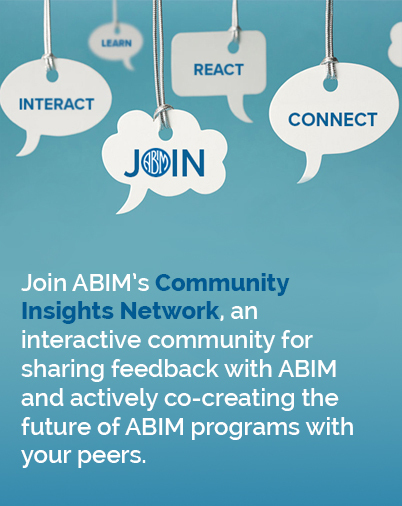 Part IV—also known as Practice Assessment activities—will continue to be available within the portfolio of options ABIM will recognize and reward to meet MOC requirements. Our intent is to support physicians completing MOC activities that are most meaningful to their practice, including those that enhance and improve medical knowledge, as well as many existing quality improvement activities, and those that blend both. Many activities are already recognized for both CME and MOC credit, including participation in the American Board of Medical Specialties (ABMS) Multispecialty Portfolio Approval Program. Explore additional opportunities by visiting ACCME’s CME Finder. 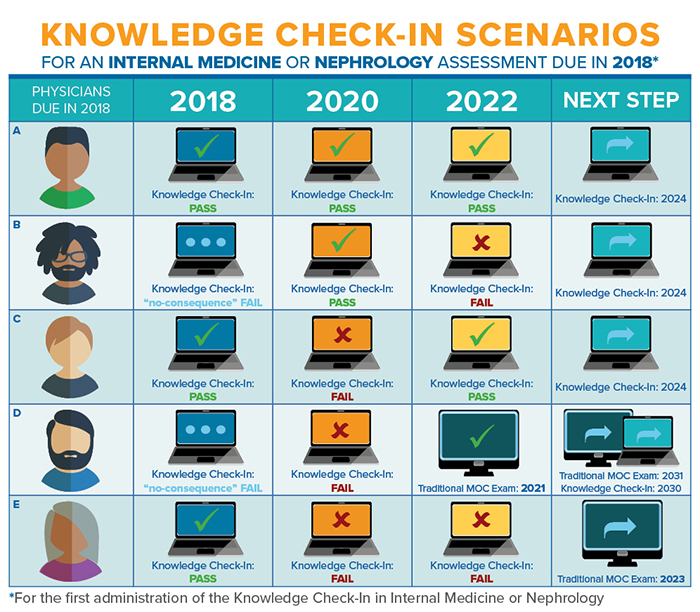 ABIM previously announced that physicians taking the Knowledge Check-In in 2018—the initial year it is offered in Internal Medicine or Nephrology—would have another chance to take it again two years later if they were unsuccessful, even if they were due to pass the exam that year. Based on feedback ABIM has received from the physician community, we are happy to let you know that we are extending this policy to include all other Internal Medicine subspecialties in the future. 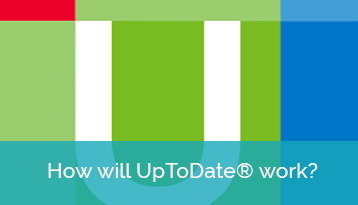 This means that if a physician takes the Knowledge Check-In the first year it is offered in their subspecialty and is unsuccessful, they will get at least one additional opportunity to take and pass it two years later. 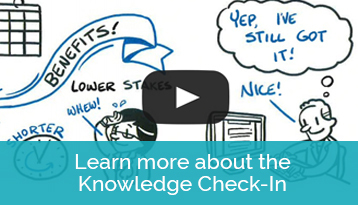 One of the benefits of the Knowledge Check-In is that a single failure will not result in a physician having their certification status changed. There are a number of potential scenarios for physicians to maintain their certification if they choose to take the Knowledge Check-In. Thank you for all you do as an ABIM Board Certified physician!